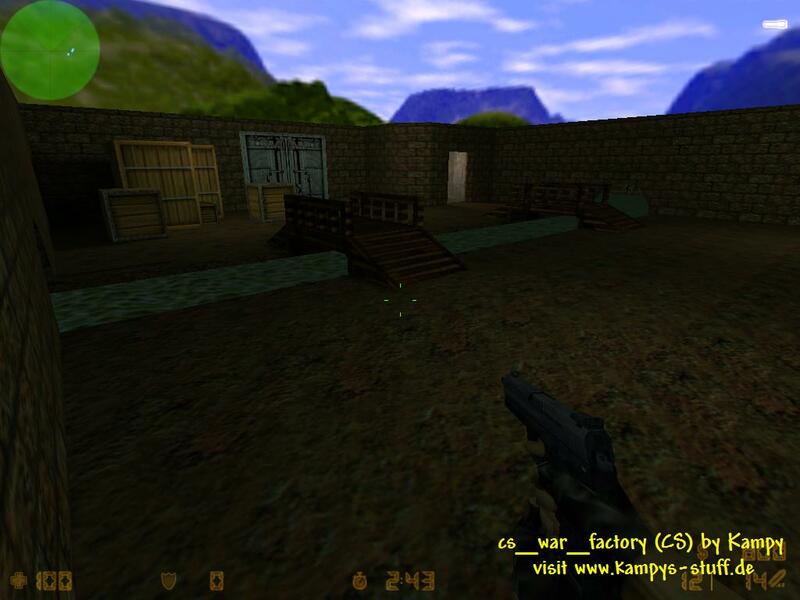 War Factory is my first cs-map. It has never been played though its actually a good map. most of the grafics look cool. There is a street with streetlights and a tank where the CT team starts. Then there is a shop and a garage plus a lake and a sewer and of course the "war factory". The terrorist start inside the factory where three scientist wait to be rescued at a weapon test lab. The gameplay is good, but has one weak point: the terrorist can camp inside the weapon factory which is very hard to capture. The CT team has to play good teamplay (for example climb on a teammates back to get through a window on the backside) to get in then. If the terrorist dont camp there there are a lot of places where you can fight, at the lake side, at the place with the river or elsewhere. 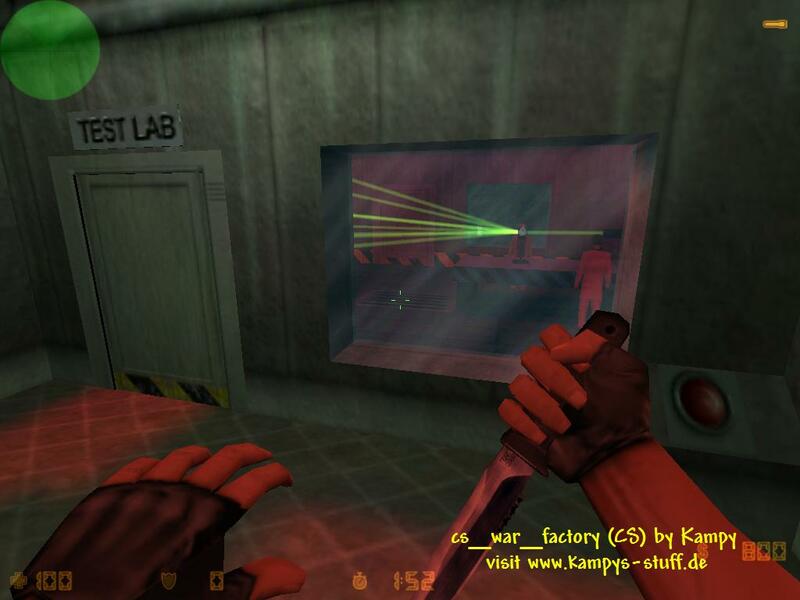 If you push a button inside the lab a laser is activated which is lethal. Take care - the hostages might be killed by it. All in all it's actually a good map, you just have to do a lot of teamplay as a CT. Check it out! 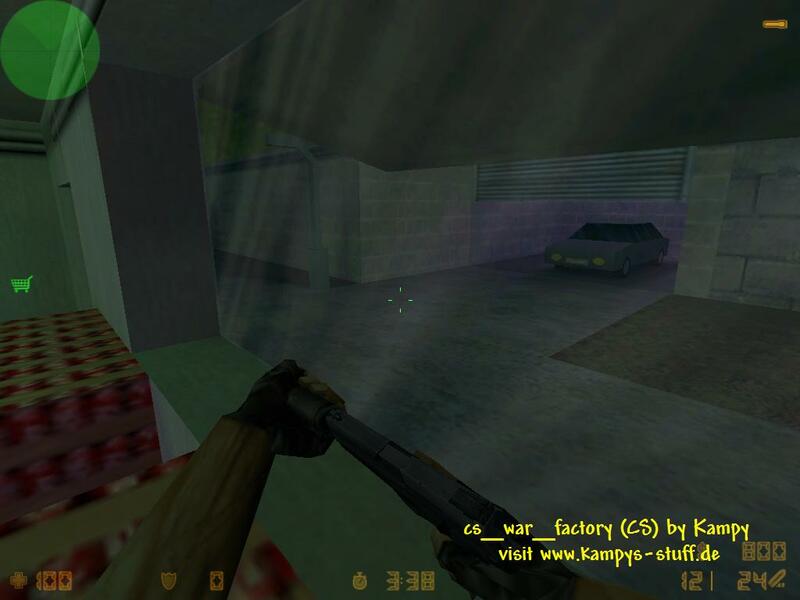 - climb on the teammates back to get through the windows on the backside of the factory.